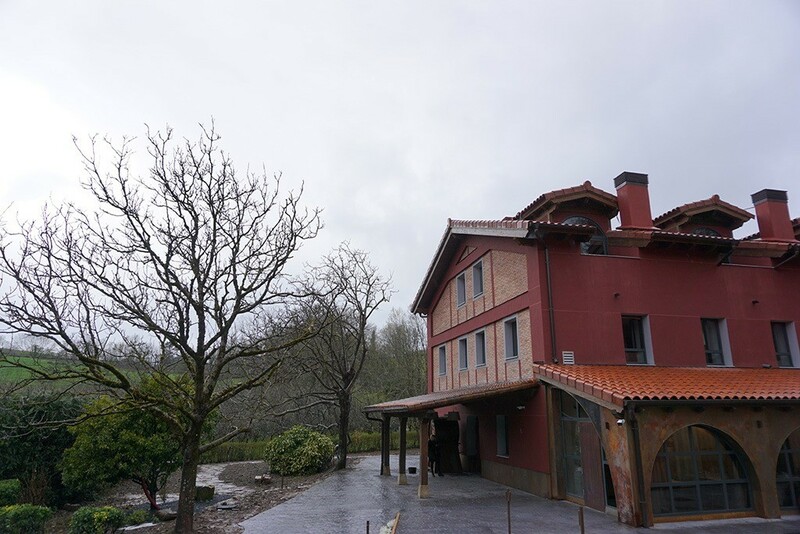 Hello, my name is Marijo Merketegi and I would like to welcome you to Sagarlore, the charming new green country hotel located in Astigarraga, very close to San Sebastián, in Gipuzkoa province. Sagarlore is the culmination of a project brimming with passion and energy, carried out by Otaño-Goikoetxea family, known for running the Petritegi cider brewery, born out of a desire to offer visitors a friendly, high-quality stay in a very special natural setting: the landscape made up of the cider orchards of Astigarraga. Our family, itself from a Basque farmhouse, is firmly committed to the environment, so one of the key factors guiding our work is preserving our surroundings. Energy-efficient premises go together with our choice of local produce for breakfast, produce grown and made on nearby farms, enabling us to keep alive the cultural and gastronomic richness of our landscape and its inhabitants. Organic produce with a designation of origin, all made with maximum care and respect. All the members of our team are convinced that the Sagarlore country hotel is the right choice for your next break, in Easter Week or during the eagerly-awaited summer holidays, because of both the quality of the accommodation we offer you and our closeness to San Sebastián, one of the world's leading gastronomic capitals. You'll have all the tourist and cultural attractions of the Basque Country within your reach, including the Basque coastline, a cinematic setting with a flavour of its own, inland Gipuzkoa, a land of customs and cultures for you to discover, Rioja Alavesa, a region dedicated to wine, the French Basque coastline, an exceptional holiday destination, modern Bilbao with the Guggenheim and more.